Do you want to run a Newspaper? The Corktown News is looking for a new Editor. This is your chance to run a newspaper! 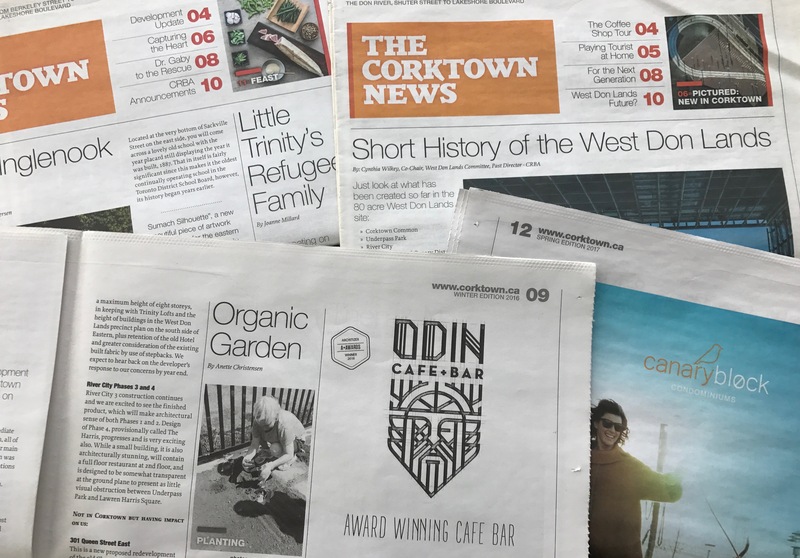 The Corktown News is written and produced by local residents and business volunteers. We need an Editor to get the paper out on time, working with writers to get articles in, edited, and ready for the production process. Like all CRBA roles, this is a volunteer, unpaid position that offers huge amounts of community value and personal satisfaction. This role will entail several hours of work about 4-6 weeks before each publication date and minimal work between issues. If you are interested or want to learn more, please send an email with your contact information, your connection to Corktown, and why you’d like to take on this role to editor@corktown.ca. All candidates will be contacted for an interview. Be sure to come to the public meeting to find out what is going on in the neighbourhood! In July 2016, Toronto City Council approved a preferred alignment and station locations for the Relief Line (Pape to Downtown via Queen/Eastern) subject to assessment of an additional alignment within a local segment on Carlaw. The purpose of this public meeting will be to present the technical work completed to support evaluation of local segment options and discuss the preferred alignment. What: Nashville Singer/Songwriter Justin James will be performing live! Moss Park Market is now Open for the Season! Spring must really be here! The Moss Park Market, now being run by Urban Fresh Food, is now open for the season. This is their second location and are sure to bring great vegetables to the neighbourhood. Look for the lovely painted Shipping Container! Development to watch in the Neighbourhood! News & Events: Pan Am Path, Dynamic Connections at Gallery 402, Beyonce strut at Extension Room, Angels in America + more!